We were asked to rebuild and re-design Attainability’s outdated website and simple online shop as well as restructure and re-write all content. 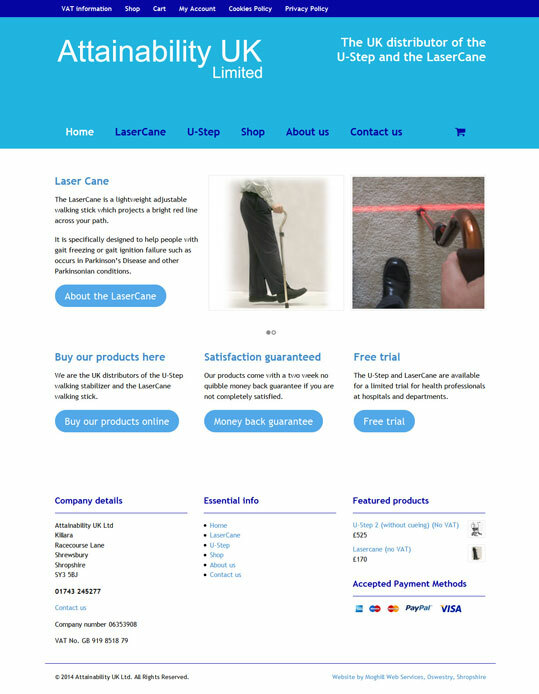 The end result was a user-friendly and professional website and fully featured online shop, which is easy to navigate and understand. It’s also easy for the customer to use as he has access to manage his own online shop. He also has access to the Moghill Help site, with its software guides and video tutorials. Big buttons were also an important feature of the site to make it easier for people using a mobile device, and for older users. Because Attainability already had a working website, we built the site in a secret area and only put it live, replacing the original, when it was ready. This kept disruption to customers to a bare minimum.